The Romanian Longicorn beetle project, supported by the Mohamed bin Zayed Species Conservation Fund through the Association for Biodiversity Conservation, is the first study in Romania to evaluate the distribution and abundance of saproxylic beetles in traditionally-maintained landscapes, ultimately providing conservation and management guidelines for endangered, threatened, and data deficient longicorn beetles. To survey longicorn beetles, we are using pheromones combined with flight intercept traps in the Iron Gates Natural Park in southwest Romania. 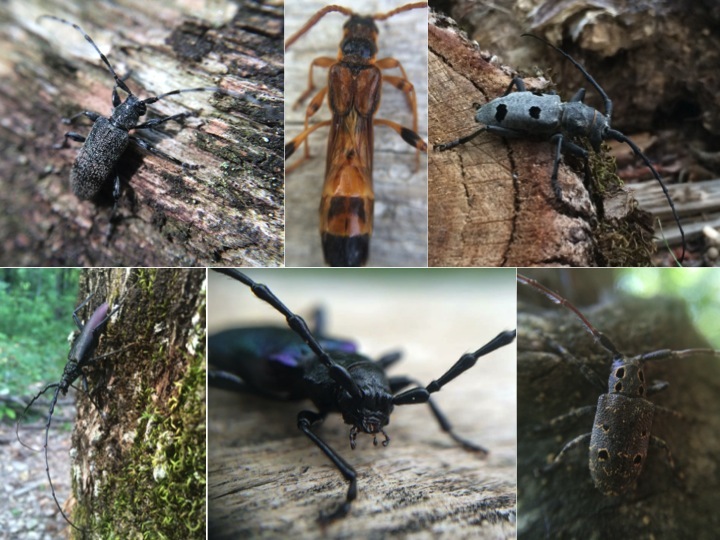 Along with ecological information on longicorn community composition, species richness, and abundance, the information gathered over the next two summers (2015 and 2016) will be used to evaluate current forest management practices and promote public education on the ecological role of longicorn beetles within the Park and Southwestern Carpathians. Our target groups include natural park and forest department staff, local communities, and land managers. To reach the project goal and objectives, we are also engaging with Romanian academics (faculty and students at University of Bucharest, Faculties of Geography and Biology), the National Natural History Museum Grigore Antipa, as well as agencies (U.S. Department of Agriculture), pheromone industry (Synergy Semiochemical Corp.), outreach (Invisible Nature) and higher education institutions in the U.S. (State University of New York). What is a longicorn beetle? A longicorn beetle, or long horned beetle, (Family Cerambycidae) is a species of beetle typically with (as you might have already guessed) very long antenna. Often, the antenna are one and a half times the size of their body. There are over 20,000 of these beetles described worldwide. The larva (or immature stage) of the beetle can often be found boring through wood where they develop and pupate. Many species in this family are considered pests because of the damage they cause to lumber (nobody wants wood with holes when building a house). But these beetles are just doing their job, recycling wood, which is an important ecosystem service! As nature’s recyclers, longicorn beetles are the ideal biological indicator for forest health, and can be used as conservation surrogates for other forest species of conservation concern. It’s because they are such good recyclers of trees that the line between “damage’ and “ecosystem service” can be gray, causing the conservation of these beetles to be tricky. 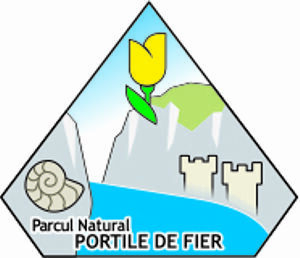 The IGNP is the largest protected area in Romania covering 1156 km2. The park is located in Southwestern Romania on the left side of the Danube river, and stretches from Socol (to the West) to Drobeta Turnu-Severin (to the East). 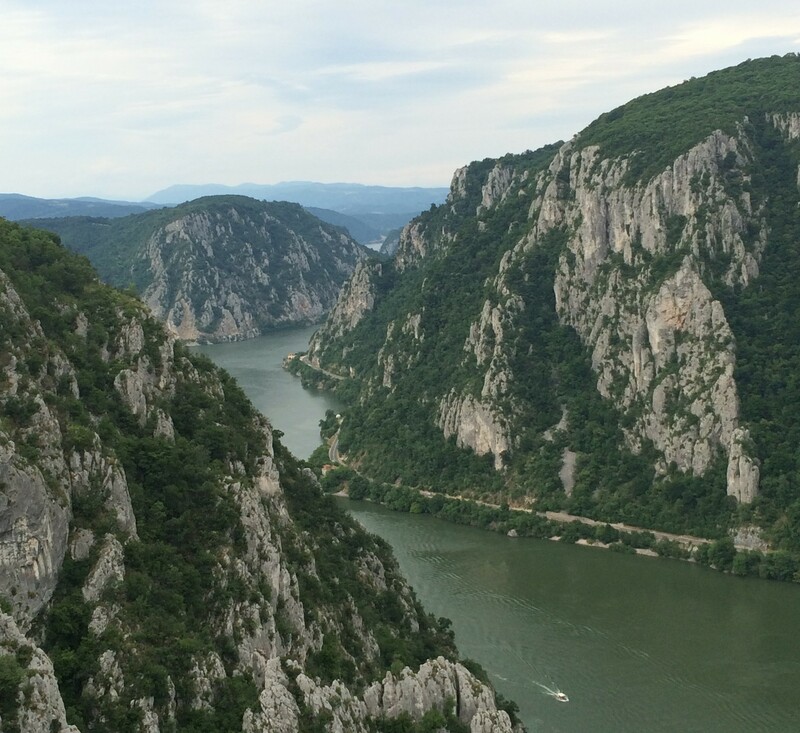 On the opposite side of the Danube river, bordering Serbia, is the Djerdap National Park, which protects similar ecosystems. The IGNP is a sub-Mediterranean biodiversity hotspot in Europe, and management places emphasis on nature conservation and interactions with humans through traditional land use practices. The forests are mixed (maple, oak, linden, beech, spruce) and harbor a variety of data deficient, vulnerable, threatened, and endangered beetles. Traditionally maintained landscapes of IGNP are open areas of natural herbaceous vegetation interspersed with forests, shaped by centuries of human activity, i.e. animal grazing, hay production, and wood for heating. (The hay fields are such an important aspect of the traditional way of life that the Romanian language has many words to say “hayfield”! In comparison, the english language has only one word.) Within Central and Eastern Europe, these open landscapes are well known to have high biodiversity and high conservation value, which is why we were so keen to learn about the beetles that call this habitat home. Unfortunately, due to recent migrations of young people to cities and to other countries, the traditional way of life is in sharp decline. Historical, cultural and natural heritage in these traditionally maintained landscapes is under threat, and species that depend on this type of management are also at risk. Indeed, farmers and land managers have the responsibility to preserve these unique habitats and prevent land abandonment, and ecologists can help by studying the biodiversity of traditionally managed landscapes and supporting conservation initiatives. While working in Mala Valley, a traditionally maintained landscape in the IGNP, we have met some of the the people that manage the land. Over the course of the field season, I developed a very special bond with Ion Jianu (Ion is pronounced Ye-won; which is the Romanian version of John) and his family. Ion (78 years old) and his ancestors have lived on and managed land in the Mala Valley for the last 150 years. Although Ion spoke no English, he became my Romanian language teacher, cheese provider (which I learned is a form of currency in rural Romania), and eventually a very close friend. 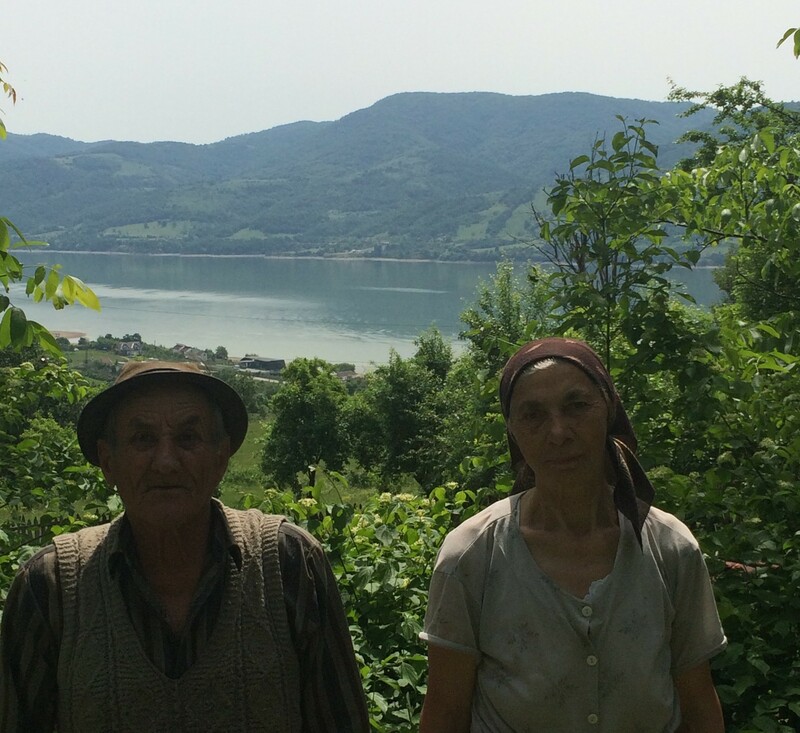 Ion and Veta Jianu are the 5th generation to be tending land in the Mala Valley. 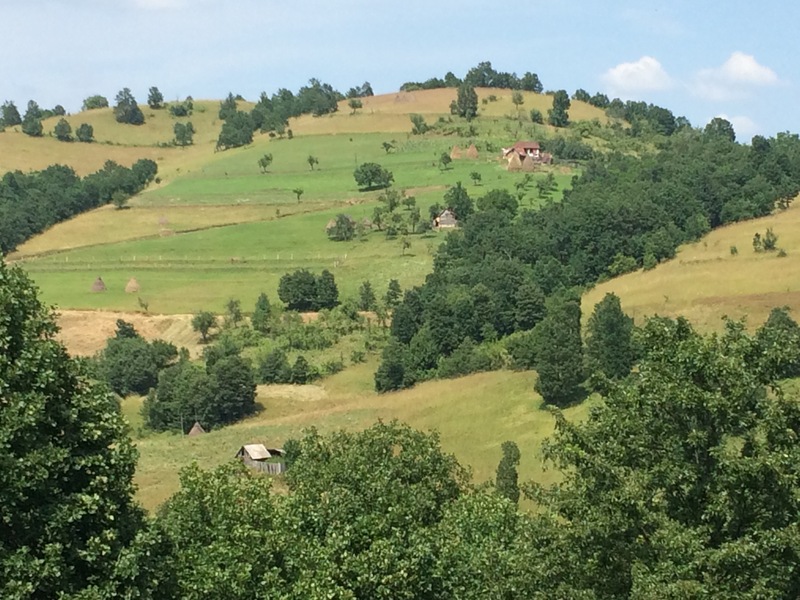 Also living in the Mala Valley is Ghilu Basarab (also 78 years old). Gilu has 7 goats (although he had many more in his youth) and 2 dogs that he tends to and walks every day. Although Ghilu has Parkinson’s, he manages the land and goats with little help from his family. 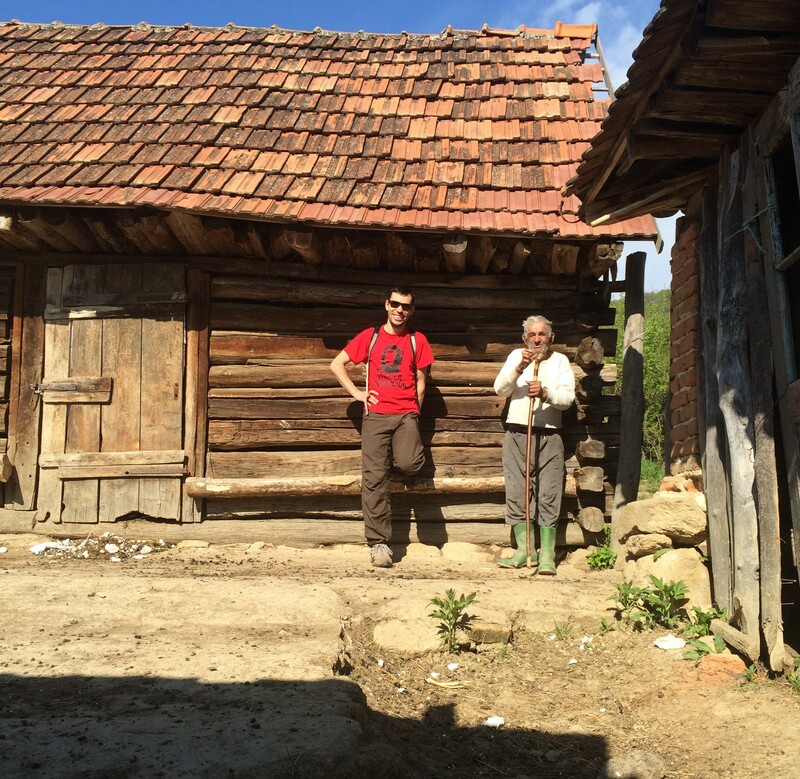 My husband, Viorel Popescu, with Ghilu in the Goat pen. Brodie, B.S., V.D. 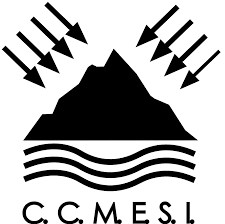 Popescu, R. Iosif, C. Ciocanea, S. Manolache, G. Vanau, A.A. Gavrilidis, R. Serafim, & L. Rozylowicz. 2019. Implementing rapid and non-lethal surveys of longicorn beetle communities using generic pheromone lures and occupancy methods. Ecological Indicators. 101, 330-340. Brodie, B.S., D.V. Popescu, and L. Rozylowicz. A survey of longicorn beetles (Family: Cerambycidae) in traditionally managed Romanian forests. The 7th International Zoological Congress of Grigore Antipa Museum, Bucharest RO, 18-22 November 2015. The Mohamed bin Zayed Species Conservation Fund (MZSC) is a significant philanthropic endowment extablished to provie targeted grants to individual species conservation initiatives, recognize leaders in the field of species conservation, and Elevate the importance of species in the broader conservation debate. The funds reach is global, from Galapagos Spiny Gladiator Lichen to Chambo Fish in Malawai, or Indus River dolphins in Asia. To date, the MZSC has given 1267 grants (totalling $12,411,475) to 902 (sub) species! You can check out some of the other case studies and projects here. 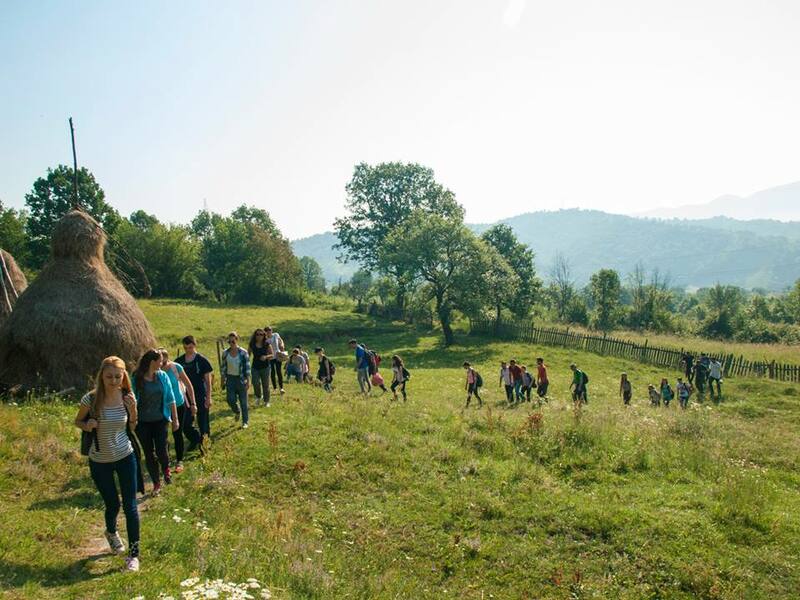 The Association for Biodiversity Conservation (ACDB) is a non-governmental organization established in 2003, whose mission is the preservation of biodiversity and environmental education in Romania. The main objective of ACDB is safeguarding Romania’s biodiversity through sustainable forest management, protected areas management, and environmental education and outreach. ACDB has benefited from substantial national and international support for conservation projects (e.g., PHARE, LIFE Nature). The organization focuses on nature protection in the forested ecosystems in Eastern and Southwestern Carpathians, and recent projects have targeted mammals (e.g., brown bears, otters) and reptiles (e.g., tortoises).  These projects have resulted in a detailed evaluations of animal abundance and habitat suitability, leading to improved monitoring and effective conservation, as well as to the establishment of the only wildlife rehabilitation center in Romania (2004). 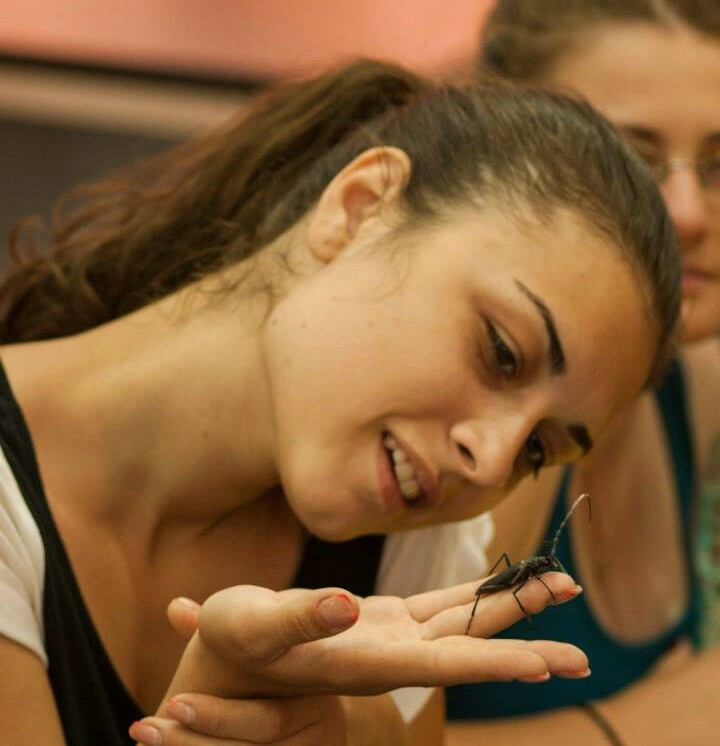 The skill sets in the organization has grown considerably in the past 3 years to include entomologists, conservation planners, and forest ecologists, along with teachers, carnivore specialists, ecologists, veterinarians, and students (50+ Romanian and international members). The Carpathian forests span a range of management types and uses (e.g., industrial, traditional), and the skillset of the staff and volunteers has allowed for expansion to other, less addressed endangered and vulnerable taxa, such as insects. Iron Gates Natural Park is a 111,655-hectare (285,790 acre) natural park located in southwestern Romania. The natural park places emphasis on management practices such as nature conservation and interactions with humans through traditional land use practices. Synergy Semiochemicals Corp. (Burnaby, BC, Canada) was founded in 2004 and quickly became the leader in providing insect pheromones within the forestry sector. Majority of this success is due to their teams knowledge, fair pricing, and quality of products, but perhaps it is also due to their commitment to science and learning. David Wakarchuk, the founder of Synergy Semiochemicals, has supported this project by graciously providing 387 pheromone lures! You can read more about their forestry related research projects here. The United States Department of Agriculture, Animal and Plant Health and Inspection Services or (USDA APHIS), Joseph A. Frances at the Center for Plant Health Science and Technology Otis Lab provided us with 50 black flight intercept traps and mailed them from Eastern United States to Romania. The Romanian Department of Forestry (ROMSILVA), Marian Jiplea and collegues from Mehedintzi work along side us to survey and conserve longicorn beetles. 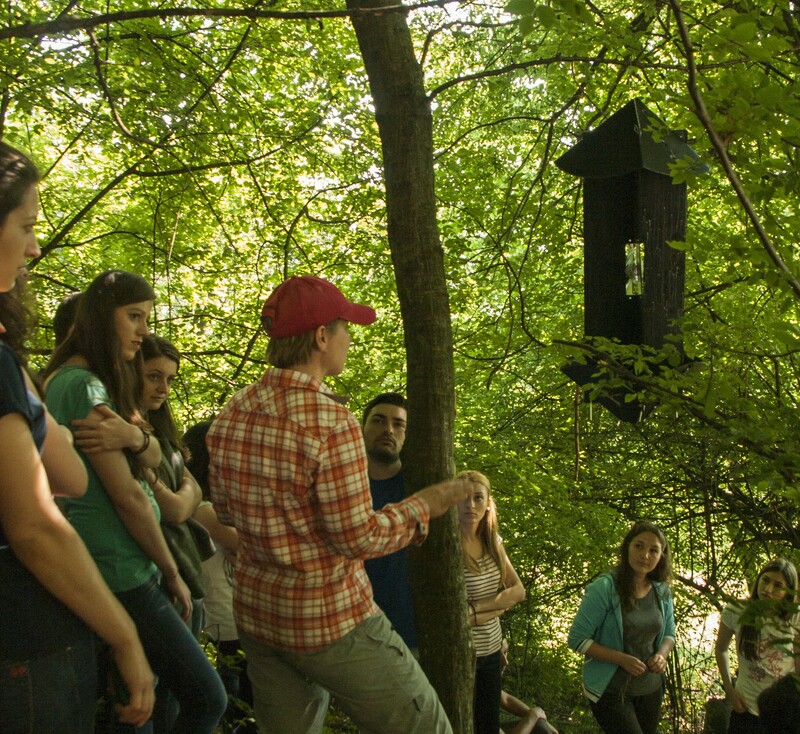 The Centre for Environmental Research, otherwise known as “The Centre” at the University of Bucharest works with university students, faculty, and staff focuses on biodiversity, environmental quality, and current environmental problems in Romania. The RO Longicorn project works hand and hand with “The Centre” to improve the conservation status of poorly understood, threatened, and endangered longicorn beetles in the Iron Gates Natural Park. Invisible Nature (Bucharest, RO) offers businesses, authorities and NGOs impactful solutions that lead to system-level changes for a sustainable future. Invisible Nature is working with RO Longicorn Project to create a video that, not only teaches, but inspires people to connect with the natural world and science.